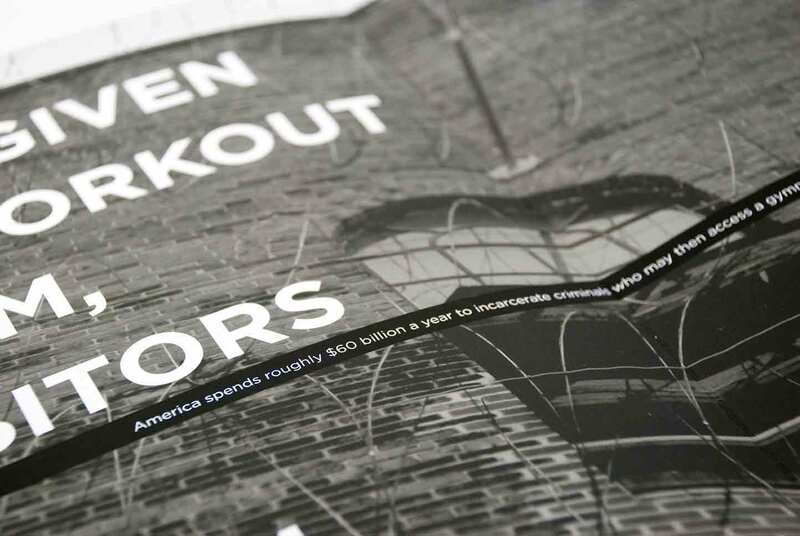 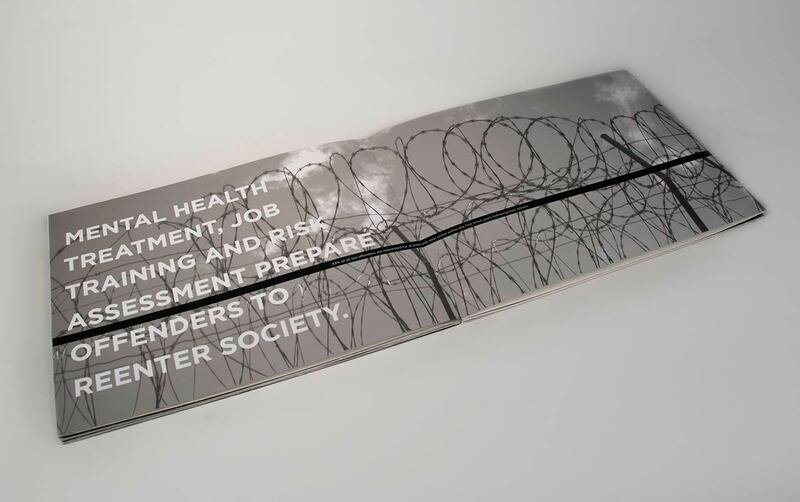 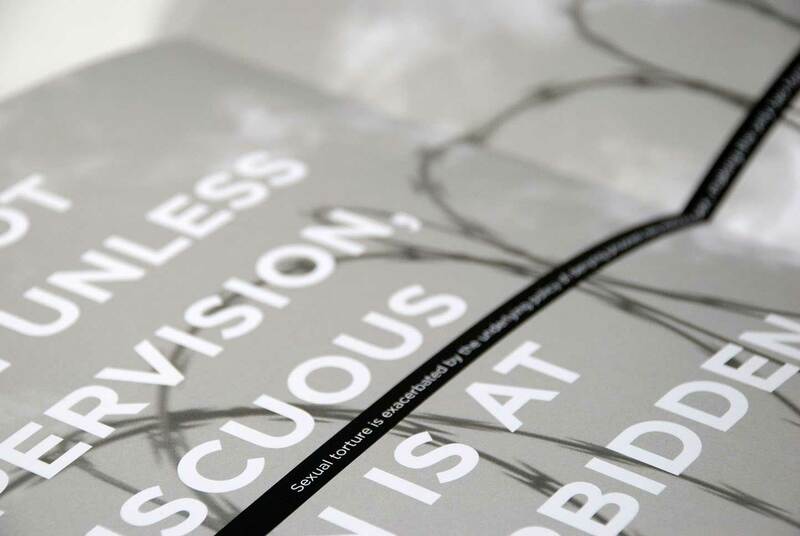 Handmade, accordion-bound book juxtaposes prison propaganda with horrific facts. 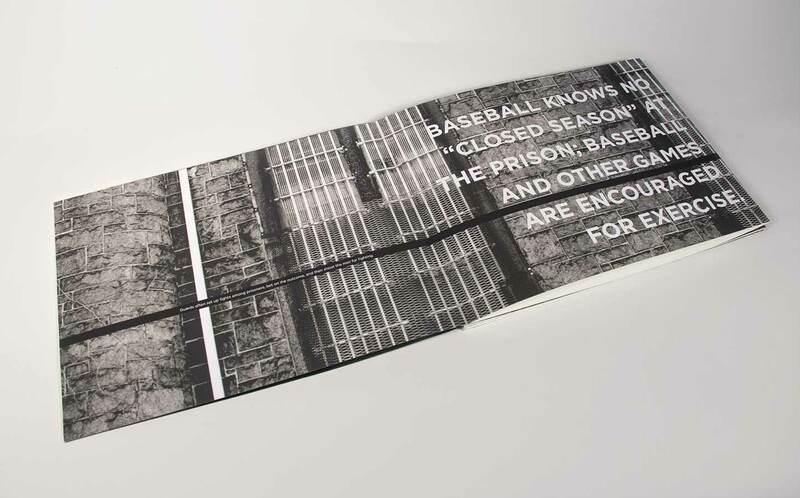 Photographs of the Correctional Adjustment Center in Baltimore become lighter, revealing more sky, with each page. 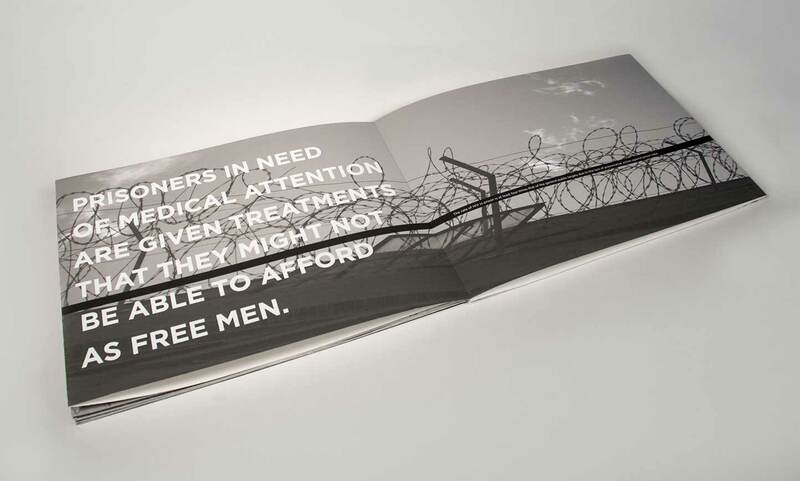 An ever-present constrictive black band on each spread highlights facts about prison conditions.